Romania and Bulgaria are characterised by high energy and carbon intensities compared to the EU average, e.g. Bulgaria uses about four times as much energy per unit of GDP as the EU28 average, and has the lowest GDP per capita in the EU28. These countries have great opportunities for catching up and need policies to realize them. The reports investigated options for these two countries to contribute to a EU-wide reduction of greenhouse gas emissions by 40% in 2030 (compared to 1990). The study combined computer simulations with individual assessments of specific policy measures. With both methods, improving energy efficiency turns out to be a particularly promising approach for emissions reductions in these countries. In the course of this project, a new effort sharing decision (ESD Decision No. 406/2009/EC) for the fair distribution of non-ETS emission reduction efforts was decided and implemented in October 2009. The supplementary study investigated the changes in economic effects, taking into account the new effort sharing decision. The New Member States Project was funded by the German Federal Environment Ministry’s Advisory Assistance Programme (AAP) for environmental protection in the countries of Central and Eastern Europe, the Caucasus and Central Asia. 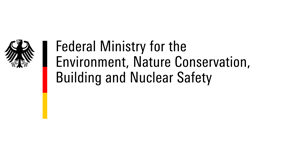 The project was supervised by the German Federal Environment Ministry and by the German Federal Environment Agency.